This general purpose, heavyweight, acid-free sketch paper is intended for classroom experimentation, practice of techniques, or quick studies with any dry media. 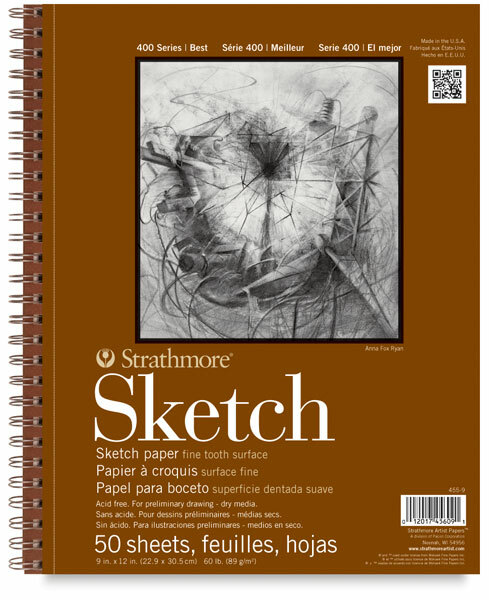 A superior sheet with a harder surface, it’s also a great choice for the more advanced artist. 60 lb. 89 gsm. Wire bound sheets are micro-perforated and are actual size when removed at micro-perforation.